It is a great personal pleasure for me that the second Christopher Knapper award should go to one of my oldest colleagues, Professor Harry Murray of the University of Western Ontario. I am not entirely sure when Harry and I first met, but it may have been at an early conference on university teaching that took place in Winnipeg in the mid-1970s. At that time both Harry and I were young psychology professors (hard to credit, I know! 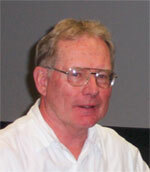 ), I at the University of Saskatchewan , and Harry at the University of Western Ontario. All those years ago we both had a major interest in the improvement and evaluation of university teaching. In 1976 I moved to Ontario to become a full-time educational developer at the University of Waterloo, while Harry became one of Canada ‘s leading researchers into university teaching and learning. Among his huge research output, some of Harry’s seminal studies have focussed on the evaluation of teaching and the characteristics of effective teachers. He demonstrated that ongoing evaluation of teaching can indeed improve a teacher’s effectiveness. And he was one of the first researchers to send student observers into university classrooms to find out what effective teachers do that distinguishes them from their less effective colleagues. Harry has published in the very best psychological and education journals, but he has always been interested in tackling issues that have real-life applications for teaching practice. He has made considerable efforts to communicate the results of his research to colleagues, using a wide range of means, including his many highly readable newsletter articles, his frequent workshops and talks at meetings and conferences (including an early STLHE keynote address), and his famous OCUFA guide to teaching evaluation, which is the best short summary of research on the evaluation of university teaching that I know. (The guide has unfortunately been out of print for some time, and several members of the STLHE Publications Committee have been urging Harry to revise it as a Green Guide!). His advice has been sought time and time again by universities across the country and beyond (for example, he has devised teaching evaluation systems not only for Western, but for the University of Queensland). Harry was one of the small group that helped found STLHE in 1983, and my notes tell me that his wife Shirley was also present at that initial meeting, along with colleagues from Waterloo, Guelph, Western, McMaster, and York. He was extremely active in the society, especially in our early days. 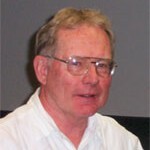 Although he does not call himself an educational developer, Harry was also very influential in the establishment of the Teaching Support Centre at Western, served on its advisory committee for many years, and largely because of his personal prestige and his influence with the broader academic community at UWO, was on several occasions influential in shielding the centre from the depredations of unsympathetic senior administrators. It is also worth noting that Harry’s wife Shirley served as the first secretary of the Western centre, and was also involved in the early affairs of STLHE, including the organization of our annual conference in London in 1984. It was while at Western that Harry developed what I believe to be the first credit course on teaching and learning in higher education for senior graduate students, which he taught for several years, and which has been the model for many similar courses at other Canadian universities. Harry also had an invitation from a graduate of this course to offer it in Singapore . This is a typical example of Harry’s generosity in sharing his curriculum and resources with colleagues elsewhere who wanted to build on his pioneering work. Last but not least, Harry is himself an exemplary teacher, who has won awards at his own institution, as well as provincial and national awards, including a 3M teaching fellowship in 1992. It was Harry and a group of 3M fellows who developed the well-known Ethical Principles in University Teaching, which have been printed in the tens of thousands and distributed all over the world. Although he is now technically retired, Harry continues to work on teaching and learning issues, and one of his current projects involves the monitoring of an innovative engineering curriculum at Western. Apart from being a close professional colleague, Harry has been a friend for many years, and he is a wonderful fellow to spend time with. He has many unlikely interests. Nearly everyone knows about his devotion to golf, which guides his choice of vacations, consulting projects, and sabbatical leaves. But he has other passions that come and go, including rock music and fast sports cars. I think the time I saw Harry most elated was when I met at an STLHE conference to which he had driven fast from a game of golf in his Mazda Miata, playing all his Beatles tapes at full volume. You will appreciate it would be hard to find anyone better fitted to receive the second Christopher Knapper Lifetime Achievement Award. Harry is a teacher, scholar, and educator who has made major contributions to our understanding of teaching, learning, and educational development, and someone who played a pivotal role in the establishment of STLHE. I am personally delighted to be here to present him with the award. See Harry Murray’s paper entitled,”Student Evaluation of Teaching: Has it Made a Difference?” presented as part of the Award at the Annual Meeting of the Society for Teaching and Learning in Higher Education, Charlottetown, Prince Edward Island, June 2005.